A few weeks back, we had a talk on KiCad (presentation available at http://ianrrees.github.io/KiCad_talk/ ) where we ordered some PCBs to make an inductor tester (Henryometer?) from dirty PCBs. Those boards came in this week, and a few folks have already put theirs together. This post aims to be a quick guide to the usage of the tester; if you’d like to build one yourself just let Ian know, parts cost is $15. 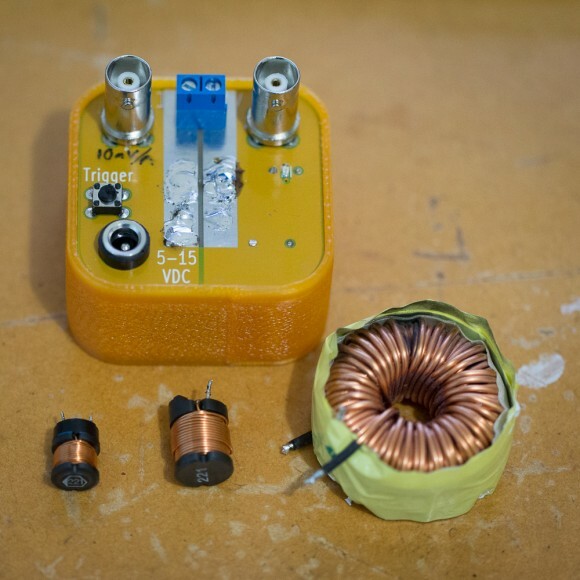 You’ll need an oscilloscope and a current-limited DC power supply to make use of it.